Every three minutes, someone in the U.S gets diagnosed with blood cancer. Every nine minutes, someone loses their life. 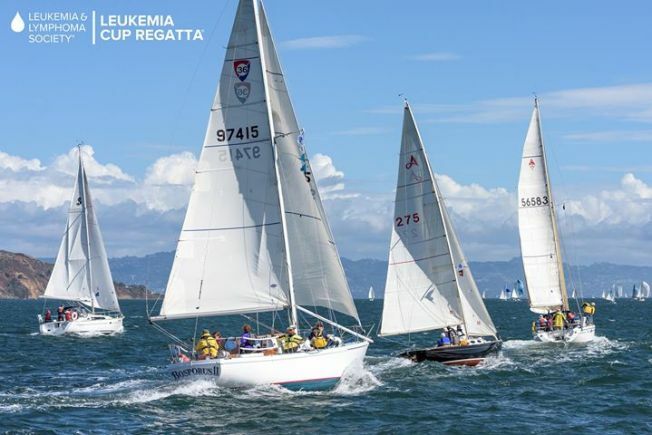 With more than 1.2 million people in the U.S living with or in remission from blood cancer this is your chance to join the fight in this year’s San Francisco Leukemia Cup Regatta! The Leukemia Cup Regatta is a thrilling series of events that combines the joy of boating with the important task of raising money to fight cancer. Since its inception, the Leukemia Cup Regatta has raised millions of dollars for lifesaving research and patient services, bringing help and hope to patients and their families. The VIP Dinner will take place on October 22 with special guest speaker Ethan Zohn, former American professional soccer player, CBS Survivor: Africa winner, blood cancer survivor and philanthropist. The event will then continue on October 23 with the Pacific Union Leukemia Cup Regatta competition and festivities. Celebrating its 11th year, the Bay Area event has raised over $6.2 million since 2006 to support LLS’s mission.